Best time to visit Costa Rica and Panama – avoid the rain saison! 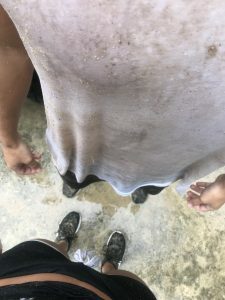 This will be a very open blog post about my experience in Central America in the rainy season. You definitely want to find the best time to visit Costa Rica and Panama and it should definitely not be the rain season. I visited Costa Rica in October and Panama in November and would love to share my insights on the rain season here with you now. To start off, when I booked the trip I stupidly enough didn’t research the weather beforehand. This turned out to be a big mistake. 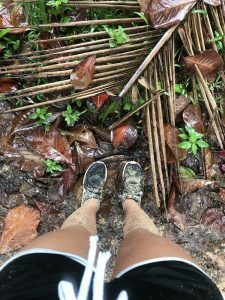 I spent 1.5 month traveling through Panama and Costa Rica and literally had rain every single day. I think we got like three afternoons of sunshine in total. The rest it was just pouring rain. Oh and put aside your concept of rain because I am sure it not nearly describes how much rain you can actually take. When it rains it doesn’t just drizzle a bit, it seriously rains cats and dogs for hours. The difficult thing is that you cant really trust the weather report. There are so many microclimates and it can change so fast and so much. The weather is very unpredictable and this makes it extremely difficult to plan trips and activities. Every single time we wanted to go out and do an activity we were surprised by a humongous amount of water ruining pretty much everything we had planned. This made it quite hard to enjoy the trip, because I always felt like I would only get half of the experience. Sometimes it would rain all morning and would be nicer in the afternoon and then the next day it would be exactly the opposite. In Costa Rica we also got quite a bit of fog. So combine rain and fog and you have the perfect weather to do absolutely nothing outside. I remember this one time we wanted to see volcano Poas which has the biggest crater of the world. 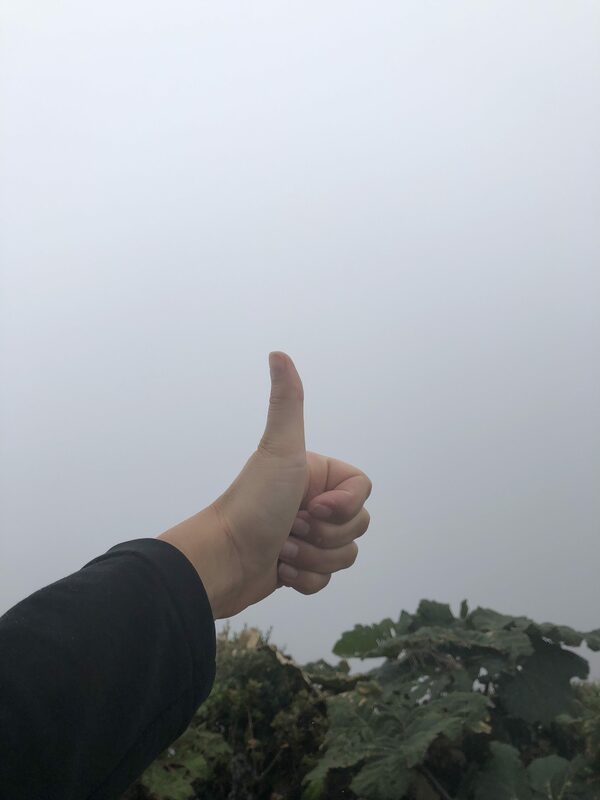 We were standing centimeters away from the crater and did not see anything because of the rain and fog. It’s like I have never been there. Really sad. Now looking back I think I actually kind of fell into a slight rain depression. I am a person who simply needs sunshine and sunlight to be fully happy. Imagine going 1.5 month without a proper day of sun. It made me really sad, cranky and disappointed! One more thing I simply need to add as it also bothered me a lot traveling through Costa Rica and Panama. I just couldn’t get my head wrapped around how crazy expensive they were. Especially Costa Rica. I mean that fact alone would be fine if the quality of life, infrastructure and public transport availability would match the price levels. Unfortunately that was not the case. Besides the fact that it was dirty almost everywhere it was also difficult to get from A to B, I was missing a lot of the tradition cuisine (couldn’t find much more besides beans, rica and plantain) and couldn’t find any really nice restaurants to go to. As a food blogger the national cuisine is always super important to me and I just couldn’t find many traditional dishes or inviting restaurants. Most of them had plastic chairs, plastic banners, loud music and neon lights. I know this sounds all very negative and there were obviously also some benefits from the rain. Everything was sooo extremely green and beautiful. You will find any shade of green you can imagine and the entire country is blossoming and flourishing. Another positive thing I need to add is that it never gets cold. It is still going to be so much warmer than Europe – even with the rain. We got one afternoon without clouds and the sunset was simply magical. I believe I might have also just been really unlucky with the weather. Nevertheless, it simply does rain a lot during that time of the year. 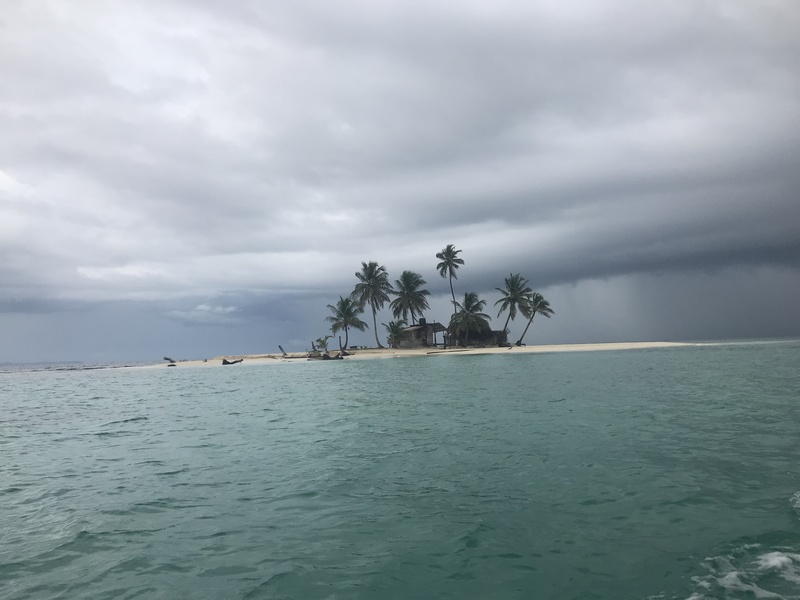 San Blas Islands: These are little indigenous islands in the Caribbean about 2.5 hours outside of Panama City. Beautiful blue water – if the sun is out (which wasn’t the case when we were there). You are hosted by local Kuna people and do boat trips everyday to tiny little islands. Bocas del Toro: A group of islands right by the Costa Rican border. I can recommend Playa Estrella as you will be seeing so many star fish in the water. Panama Canal: I was really impressed by the Panama Canal. My tip: go to the restaurant Atlantic & Pacific for dinner around 4.30pm. Like this you can avoid the expensive visitor center and still see the ships passing through from the terrace of the restaurant. Rincon de la Vieja: This is a volcano in Costa Rica we went to. Even though we didn’t see the actual volcano because of the fog, the hiking trail was stunning and so interesting to see all the boiling and bubbling waters everywhere. Buena Vista Lodge: this is a big adventure lodge in the rain forest north of Costa Rica. We went horse riding there, zip lining and visited beautiful volcanic hot springs. Escalante: this is a nice neighborhood in San Jose filled with cute restaurant. It was the only place in Costa Rica I found restaurants that I actually wanted to go to and spend my money. So to summarize October and November are the worst months to visit those countries. Therefore the best time to visit Costa Rica and Panama is after those months. They start getting much more sun in December. From December to April its dry season. Still with occasional rain every once in a while, but much much better than if you were to go in the autumn. I met many travelers throughout the weeks and most of them had the same experience. Others got really lucky with the weather and got some good days of sunshine. I guess it just really depends on luck over there in the rain season. Sorry for this quite negative blog post on the best time to visit Costa Rica – but it only reflects my experience there. So better an honest post than if I would tell you everything was amazing and you being disappointed if you end up going in October or November to these countries. If you want to read a more upbeat blog post about a place I actually love I recommend you check out my Tulum food guide and my Riviera maya travel tips. Here is also my Instagram for more travel inspo! When I saw all the rain in the stories, I was wondering how you were coping with it. I suffer from the grey and low sky and I am sure I would have been very affected as well! It is great that you can be so open!